California Lawmakers File Bill to Rein in Black Market Marijuana by Lowering Tax Rates . Assemblymember Rob Bonta (D-Oakland) and several cosponsors on Monday introduced AB 286, which would fight the illicit black market of cannabis by encouraging consumers to purchase the product from licensed and regulated businesses. This bill would reduce the price disparity between legal cannabis businesses and black market sources. The bill is not yet available on the legislative website. An identical bill was introduced in 2017 and passed two committees with strong support but was stalled in the Assembly Appropriations Committee. Minnesota Legalization Bills Filed . State Sen. Melisa Franzen (DFL) and Rep. Mike Freiberg (DFL) on Monday filed identical legalization bills. The bills are not yet available on the legislative website. Gov. Tim Walz (DFL) has previously expressed his support for such legislation, and last week a bill was filed that would put legalization on the ballot as a constitutional amendment. New Hampshire Governor's Commission Opposes Legalization . The Governor's Commission on Alcohol and Other Drugs has recommended against legalizing marijuana in the state. Republican Gov. Chris Sununu has already made his opposition clear, and the commission's move to oppose a particular bill, HB 481 , was described by the local press as “unusual.” The bill will have a hearing next week. Massachusetts Governor Wants to Tax Opioid Manufacturers . Republican Gov. Charlie Baker has included a 15% excise tax on sales of prescription opioids as part of his state budget proposal. The proceeds would go to “address the significant and growing costs associated with opioid misuse,” Baker explained. New York passed a similar law last year, which is being challenged in the courts, but with one significant difference: The New York law expressly prohibited pharmaceutical companies from passing on the cost of the tax to consumers, but Baker's proposal doesn't, which means if it is enacted, state residents will pay higher prices for their pain medications. West Virginia Bill Would Implement Family Drug Court Pilot Program . The House Committee on Prevention and Treatment of Substance Abuse last Thursday filed a bill to implement a pilot program for family drug courts. They would specialize in cases of abuse and neglect involving substance abuse. The bill, which is not yet available on the legislative website, will be taken up by the House Judiciary Committee. 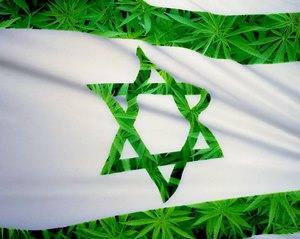 Israeli Cabinet Approves Medical Marijuana Exports . The cabinet on Sunday gave final approval to a law allowing the export of medical marijuana. The move came a month after the Knesset unanimously approved the idea. Israel is now the third country, after Canada and the Netherlands, to allow medical marijuana exports.